^ John Daniel McVey. "The Union of The Crowns 1603 - 2003". Uotc.scran.ac.uk. Retrieved 25 October 2013. ^ Francois Velde. "Royal Arms, Styles and Titles of Great Britain". Heraldica.org. Retrieved 25 October 2013. Baron of Renfrew is a dignity held by the heir apparent to the British throne, currently Prince Charles. It was held by the Scottish heir apparent beginning in 1404. It is closely associated with the title Duke of Rothesay. An act of the Scottish Parliament passed in 1469 confirmed the pattern of succession. Renfrew, a town near Glasgow, is sometimes called the "cradle of the royal Stewarts." In Scotland, barons hold feudal titles, not peerages: a Scottish lord of Parliament equates to an English or British baron. Some, however, claim that the Act of 1469 effectively elevated the Barony of Renfrew to the dignity of a peerage. Others suggest that the barony became a peerage upon the Union of the Crowns in 1603. Finally, some scholars argue that the uncertainty surrounding the text of the 1469 Act leaves the barony as only a feudal dignity, not a peerage dignity. The title of Lord Renfrew was used by the traveling Prince of Wales, later King Edward VII and Prince Edward, Duke of Rothesay, later King Edward VIII and Duke of Windsor, when he traveled in a private capacity or when he wished to pay visits 'incognito'. A Scottish Presbyterian congregation was first established in London during the reign of King James I of England and VI of Scots, following the Union of the Crowns in 1603. Some of his Scottish courtiers worshipped in a chapel near the old Whitehall Palace at the diplomatic site as “Scotland Yard” and later provided the original headquarters of London’s Metropolitan Police. More tangible records date from 1711, when Crown Court Church was established near Covent Garden. The church was extensively rebuilt in 1909, but remained on the same site. The exterior of the church is scarcely visible as it shares walls with neighbouring buildings, whilst the interior retains a 17th-century feel (despite the early 20th-century rebuilding work.) The church is named after a small courtyard adjacent to its location, but is also known as the "Kirk of the Crown of Scotland". Crown Court Church is the older of the two Church of Scotland congregations in London, the other being St Columba's in Pont Street, Knightsbridge. The church entrance is difficult to find, but is located in Russell Street, off Covent Garden, next to the Fortune Theatre and opposite the Theatre Royal. The Reverend Philip Majcher (formerly a chaplain in the British Army) was inducted as the new minister on 18 December 2007. The previous minister, the Reverend Sigrid Marten, moved to London Road Church, Edinburgh. Created in 1858, the flag of Nova Scotia is a banner of the coat of arms of Nova Scotia, which were granted to the Scottish colony by King Charles I in 1625. 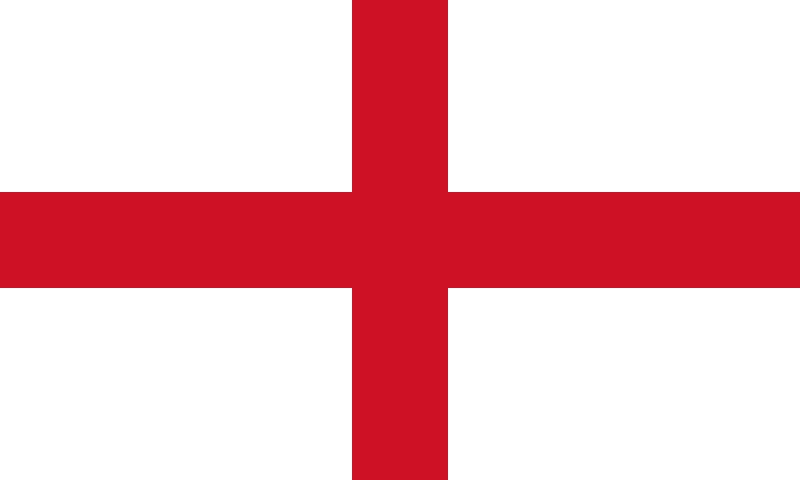 The flag of the modern Canadian province, a blue saltire on a white field (background), is a simple figure-ground reversal of the flag of Scotland (a white saltire, Saint Andrew's cross, on a blue field), charged with an inescutcheon bearing the royal arms of Scotland, a gold shield with a red lion rampant surrounded by a loyal double tressure (a double border decorated with fleurs de lis). The similarity to the Scottish flag reflects the province's name, which is Latin for "New Scotland". Nova Scotia was one of the few British colonies to be granted its own coat of arms, and the flag is the only one of the original Canadian provinces dating back to before confederation. Despite continuous usage of the flag to represent Nova Scotia since 1858, the flag was only recognized by the provincial government of Nova Scotia as the official provincial flag in May 2013, through the Provincial Flag Act, after an eleven-year-old girl researching a project realized that no one had recognized the flag officially in 155 years of usage.The flag is ranked #12 in the North American Vexillological Association's survey of North American state and provincial flags. The formation of the United Kingdom of Great Britain and Northern Ireland has involved personal and political union across Great Britain and the wider British Isles. The United Kingdom is the most recent of a number of sovereign states that have been established in Great Britain at different periods in history, in different combinations and under a variety of polities. Norman Davies has counted sixteen different states over the past 2,000 years.By the start of the 16th century, the number of states in Great Britain had been reduced to two: the Kingdom of England (which included Wales and controlled Ireland) and the Kingdom of Scotland. The once independent Principality of Wales fell under the control of English monarchs from the Statute of Rhuddlan in 1284. The Union of Crowns in 1603, the accidental consequence of a royal marriage one hundred years earlier, united the kingdoms in a personal union, though full political union in the form of the Kingdom of Great Britain required a Treaty of Union in 1706 and Acts of Union in 1707 (to ratify the Treaty). In the 20th century, the rise of Welsh and Scottish nationalism and resolution of the Troubles in Ireland resulted in the establishment of devolved parliaments or assemblies for Northern Ireland, Scotland and Wales. The Lord High Commissioners to the Parliament of Scotland, sometimes referred to as the fifth estate of the Estates of Scotland, were the Scottish Sovereign's personal representative to the Parliament of Scotland following James VI of Scotland's accession to the throne of England and his becoming, in personal union, James I, the first Stuart king of England (see Union of the Crowns). The Lord High Commissioners were appointed from 1603 until 1707. The Act of Union 1707, which merged the Parliament of Scotland and the Parliament of England to create the Parliament of Great Britain, rendered the post redundant. They were effectively the heads of government in Scotland during this period, exercising de facto control over the Estates and the Privy Council, although nominally this role was still held by the Lord Chancellor. The royal arms of Scotland is the official coat of arms of the King of Scots first adopted in the 12th century. With the Union of the Crowns in 1603, James VI inherited the thrones of England and Ireland and thus his arms in Scotland were now quartered with the arms of England (which was itself quartered with France) with an additional quarter for Ireland also added (the arms would continue to alter in later years). Though the kingdoms of England and Scotland would share the same monarch, the distinction in heraldry used in both kingdoms was maintained. When the kingdoms of Scotland and England were united under the Acts of Union 1707 to form the United Kingdom of Great Britain, no single arms were created and instead, the royal arms as used in either Scotland and the rest of the United Kingdom would continue to differ. Poetically described as "the ruddy lion ramping in his field of tressured gold", the arms are still widely used today as a symbol of Scotland, and are quartered in the royal arms of Queen Elizabeth II along with the arms of England and Ireland. The arms in banner form is still used by various officials in Scotland and is called the Royal Banner, or more commonly, the Lion Rampant. The Royal coat of arms of Great Britain was the coat of arms representing royal authority in the sovereign state of the Kingdom of Great Britain, in existence from 1707 to 1801. The kingdom came into being on 1 May 1707, with the political union of the kingdom of Scotland and the kingdom of England, which included Wales. With the 1706 Treaty of Union (ratified by the Acts of Union 1707), it was agreed to create a single kingdom, encompassing the whole of the island of Great Britain and its outlying islands, but not Ireland, which remained a separate realm under the newly created British crown. On 1 January 1801, the royal arms of Great Britain were superseded by those of the United Kingdom of Great Britain and Ireland, when Great Britain was united with the Kingdom of Ireland by the Acts of Union of 1800 following the suppression of the Irish Rebellion of 1798. From c.1124 until 1709 the coinage of Scotland was unique, and minted locally. A wide variety of coins, such as the plack, bodle, bawbee, dollar and ryal were produced over that time. For trading purposes coins of Northumbria and various other places had been used before that time; and since 1709 those of the Kingdom of Great Britain, and then of the UK. The Treaty of Greenwich (also known as the Treaties of Greenwich) contained two agreements both signed on 1 July 1543 in Greenwich between representatives of England and Scotland. The accord, overall, entailed a plan developed by Henry VIII of England to unite both kingdoms (i.e. Union of the Crowns). The first sub-treaty helped to establish peace between the Kingdom of England and the Kingdom of Scotland. The second sub-treaty was a marriage proposal between Edward VI of England and Mary, Queen of Scots. In this part of the treaty, it was agreed that Mary would be accompanied by an English nobleman/gentleman (and his wife) until she was ten years old. Afterwards, Mary would reside in England until the time of her marriage. Also, the Treaty of Greenwich permitted the Kingdom of Scotland to maintain its laws. Even though the Earl of Arran signed the accord on 1 July and ratified it on 25 August 1543, the Treaty of Greenwich was ultimately rejected by the Parliament of Scotland on 11 December 1543, leading to eight years of Anglo-Scottish conflict known as the Rough Wooing. The Treaty of Perpetual Peace was signed by James IV of Scotland and Henry VII of England in 1502. It agreed to end the intermittent warfare between Scotland and England which had been waged over the previous two hundred years and although it failed in this respect, as the hostility continued intermittently throughout the 16th century, it led to the Union of the Crowns 101 years later.